With an obsession with corn and a heartily blooming basil plant (thanks, Dad! ), I knew I wanted to combine the two. And when I spotted a recipe in the summer issue of Martha Stewart’s Everyday Food, I knew right away I needed these muffins in my life. I love corn muffins/bread anyway, but it’s rare to find them made with actual real corn. Sad, right? Plus, if I didn’t do something with my basil plant soon, I’m pretty sure it would have taken over our apartment. Now, that would be a pretty awesome (and scary) blog post. 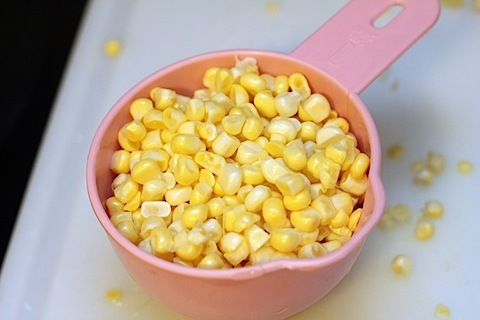 These are incredibly quick and easy to make and the toughest part is cutting the corn off the cob. But it’s only two cobs, so don’t complain (wait until you see my next recipeâ€¦ muhahaha). 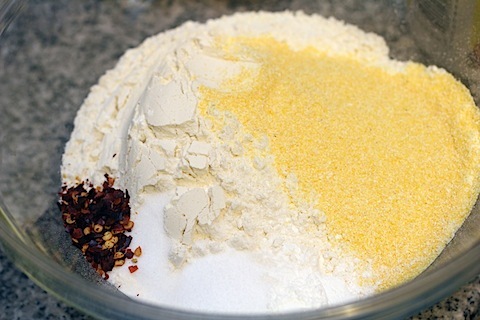 In a large bowl, combine the flour, cornmeal, baking powder, baking soda, salt, and red pepper flakes. 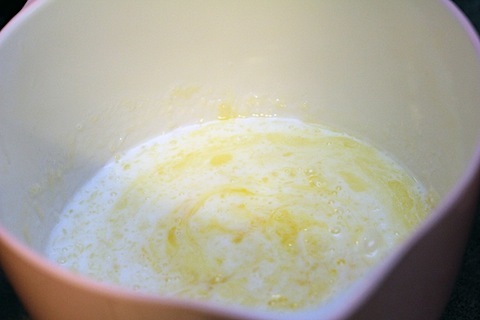 Then, in a separate bowl, whisk together the buttermilk, egg, and melted butter. Mix the wet ingredients into the dry ingredients, until just combined. 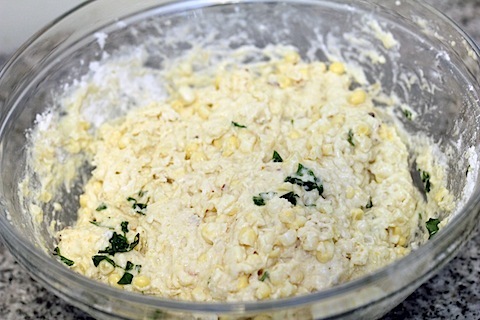 Then fold in the corn and basil, making sure they’re spread throughout the batter. Lightly butter and flour your muffin tin. Scoop about 1/3 C of batter in prepared tin, filling about 3/4 of the way. Let them cool a bit before taking out of the pan. But only a little bit because these are SO good warm. Though I’ll admit I ate a few cold and those were fantastic, too. I ate a lot of these over the past week. When you live in a household of two and make muffins 12 at a time, trouble can ensue. Luckily, these had fresh vegetables in them, minimizing my guilt a bit. Right? I love a corn muffin with actual real-life corn in it. Fresh corn. And fresh basil. 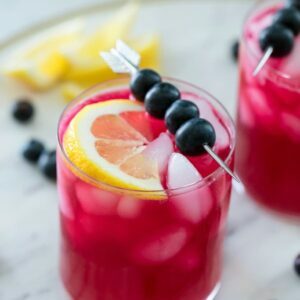 The colors are beautiful and the taste incredible. The original recipe actually called for a bit of sugar, but I left it out because you know what? Fresh corn at this time of year is sweet enough. And I wanted these to be savory muffins that weren’t packed with white sugar. The red pepper flakes gave them an awesome kick that wasn’t overpowering at all. I mean, you could slather these in lots of butter, too, but really it’s not necessary. I made a delightful fresh corn soup to eat with the muffins and there was lots of dipping going on. 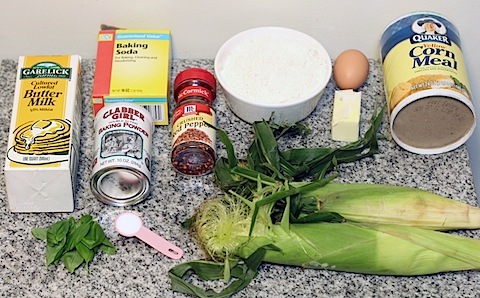 I’ll be posting that recipe later todayâ€¦ And then I think I’ll take a little corn-cation. Not because I’m sick of it, but because I think I got too much of an arm workout from the next recipe. You’ll see. And I’m pretty sure corn-cation is my new favorite word. 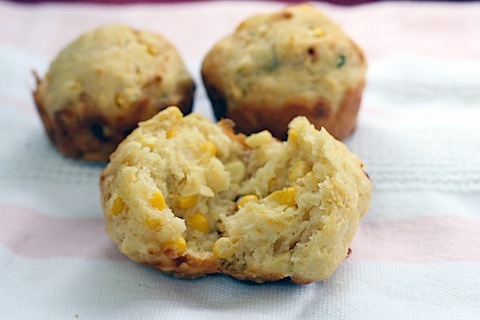 Do you have an ultimate corn muffin recipe? What does it involve? 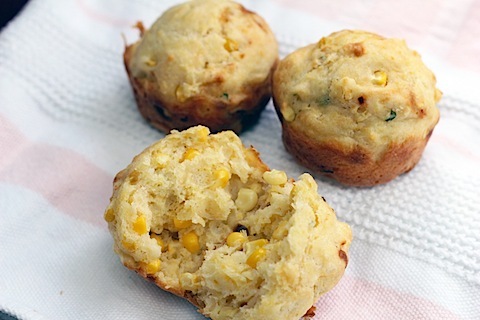 For some weird reason I’m anti creamed vegetables and “cream ofâ€¦” soups, but I’ve heard muffins with creamed corn in them are out of this world amazing. 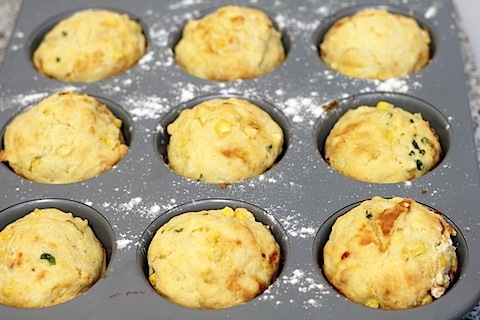 22 Responses to "Fresh Corn Muffins with Basil"
oh yum – i totally want to make these! though i bought my first can of pumpkin this season (in my defense – it was on sale!) I am still in summer mode. corn is still so good, sound delightful with basil! 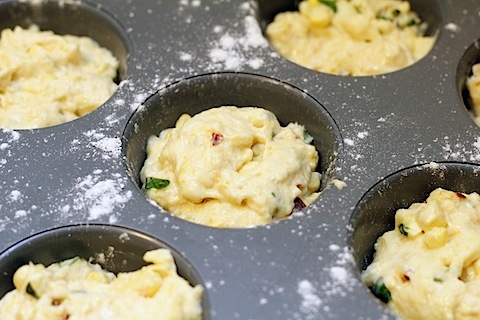 Loving these corn muffins – adding basil is an excellent idea! Love the addition of local fresh corn. 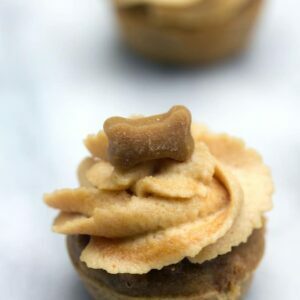 I am totally making these this weekend. I want fresh corn for every meal lately!! 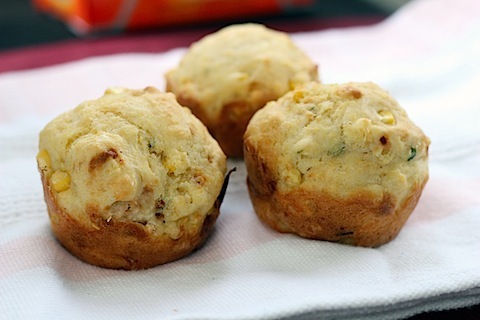 I haven’t made it yet but I definitely have a corn muffin recipe flagged that involves bacon! These seriously look phenomenal. I wish fresh corn was available year-round! I am envisioning these with a little mozz and some tomatoes too! They sound so good. Don’t know how I missed this recipe in Everyday Food. 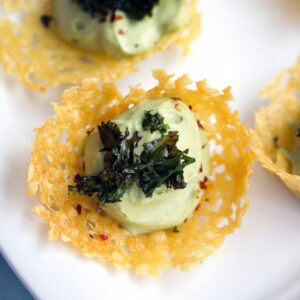 These look fantastic….especially with the basil and red pepper. Wonderful recipe. Love corn and I absolutely love these. I’m not ready for pumpkin anything yet so I’m with you and corn for now ðŸ™‚ These look wonderful and I really like the basil and red pepper flakes in the recipe! 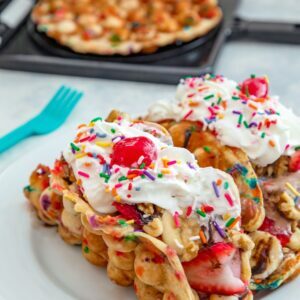 This recipe looks like a keeper! I’ve been wanting to make some savoury muffins for a long time and considering how a) I love corn and b) I took have a basil plant threatening to take over my flat, a la Little Shop of Horrors, this is going to be a must for me. I hope you girls are doing well, so love seeing what you get up to on your side of the world!